Arkham Horror - style metagame : build your own mansion, fight against other factions in a city map..
Gaslight Horror is peculiar mix of turn-based tactical game and FPS: you command a squad of characters with a limited amount of action points but observe the world around you from first-person view. You see only what your character see. When shooting, you have to actually point the gun, aim and shoot. However, we found out early that this combo caused some issues. For example, a typical player hasn't used to counting using APs when moving in FPS view, or following a grid. Other problem included the loss of situational orientation when the changing the character. The latter problem prompted us to add a friendly AI to the game. 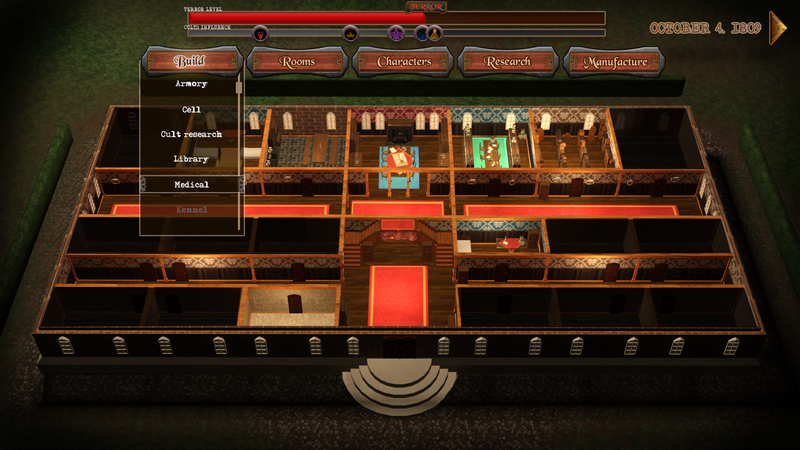 The player can choose if he or she wants to move all characters in first person, or use one characters point of view to give commands to other characters. If the latter is used, the character ai will take care of executing the orders. We believe there are fans for both solutions. You move by using WASD, but in grids. Looking at ground and pressing right mouse button will draw you the shortest route, seen as the green and red shoe symbols on the screenshot above. The red shoes indicate the area you may not move this turn, as your APs will not take you that far. On the left down is the AP amount of the current character and the stance. In the down middle are your inventory slots. On the down right is the bullet count indicator. The minimap on the top right is a very important aid when moving with the character and for situational awareness. 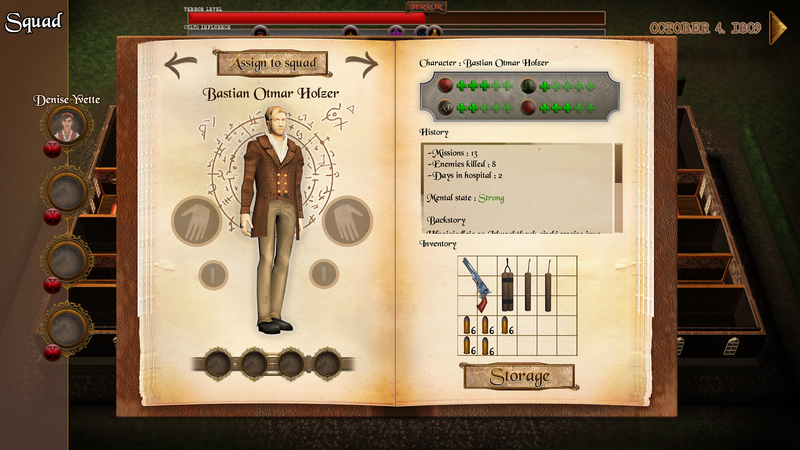 It shows the currently selected character, other characters and enemies in line of sight. On the top left are the characters currently in the team. You change characters from function keys. The command system layer is currently being designed on top of this UI. That probably will mix things up a bit. 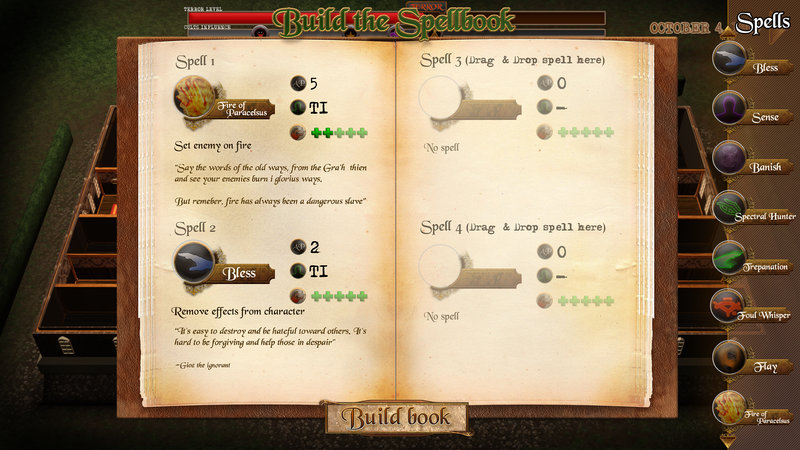 Otherwise the basic UI feels like a good starting point for the project for us right now. Some notes on the metagame design: inspirations, aspirations and ideas.